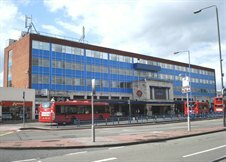 Cattaneo Commercial are pleased to announce the letting of 4,080 sq ft of first floor offices at Apollo House in Morden to a major public transport company. There is now only 7,583 sq ft of office space remaining in Apollo & Athena House located in the centre of Morden, immediately adjacent to the tube station. Please contact Cattaneo Commercial on 020 8546 2166 for further information.